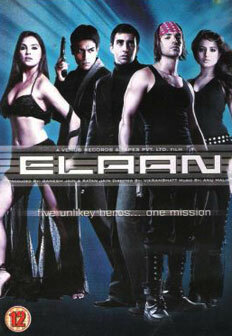 A globe-trotting action adventure directed by Vikram Bhatt. Produced by Ganesh Jain, Ratan Jain. I played Abhimanyu, a former hitman. India is being held to ransom by international extortionist Baba Sikander and his brothers. Karan, the adopted son of one of their wealthy victims, convinces his dad not to give in to blackmail. Days later his father is murdered. The grief-stricken Karan swears to hunt Baba down and bring him to justice. But for this near impossible task he must assemble a specific team. "Shooting for this film was the toughest experience for me since 'Paap'. It was snowing all over Europe where we shot. But it was enjoyable in the evenings when all of us would sit together after the day's shoot and share our experiences, cuddled in our blankets."